MAGNT Acting Director Darlene Lion welcomed Kate on board for the 2010 Telstra Art Award. “Kate’s an excellent choice for the role with her vast experience in planning and developing Indigenous art collections and exhibitions,” Ms Lion said. 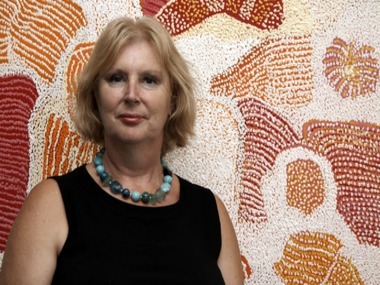 “This is a wonderful opportunity for me to curate the 27th Telstra National Aboriginal and Torres Strait Islander Award, with artworks drawn from the best of Indigenous art from across the nation,” Ms Podger said. Entries for the inaugural Telstra New Media Award with the theme of ‘Connections’ remain open until Friday, 30 April 2010.